Italy’s data protection laws are comprehensive but include certain registration requirements that are onerous and appear unnecessary, as well as some limitations to data flows like other European Union countries. Italy provides adequate intellectual property protection for cloud computing services, including appropriate “safe harbor” protection from liability for third-party infringement. Italy has strong cybercrime laws and a comprehensive cybersecurity strategy in place, which works in conjunction with the Italian Digital Agenda — a government-led initiative to invest in digital development. In addition, Italy has modern electronic signature laws and electronic commerce laws, and it is committed to international standards and interoperability. Italy’s overall ranking fell slightly — to ninth from eighth in the 2016 report. This was the result of better performance by other countries, particularly in IT readiness and broadband Deployment, as well as the rebalancing of the Scorecard methodology. 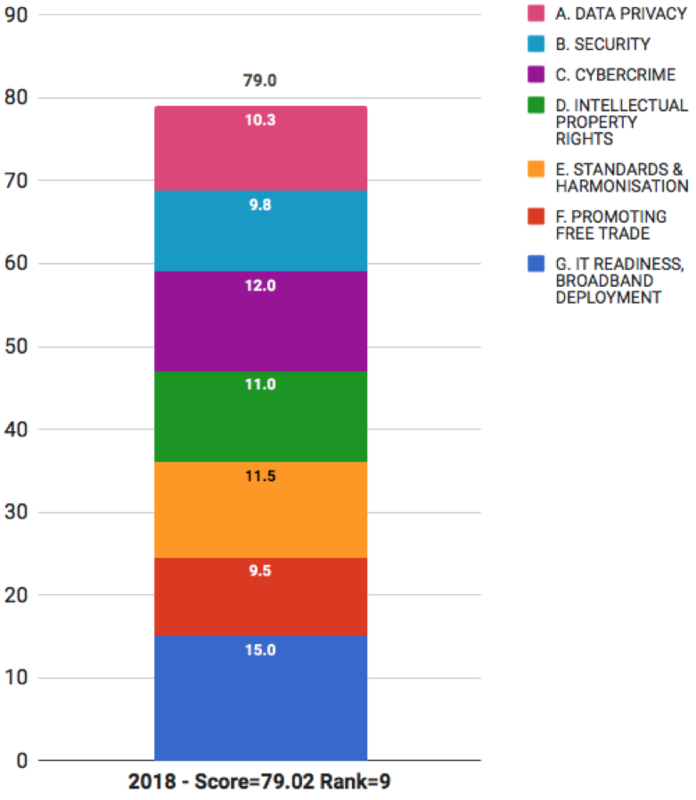 - 12th for IT readiness and broadband deployment.